France in London | French doctors anytime you need them. Moving house can be difficult, so imagine the challenges you face when that new home is in a different country. When it comes to healthcare for yourself and your loved ones, finding a doctor who is available straight away and who speaks your language can be hard for French families living in London. 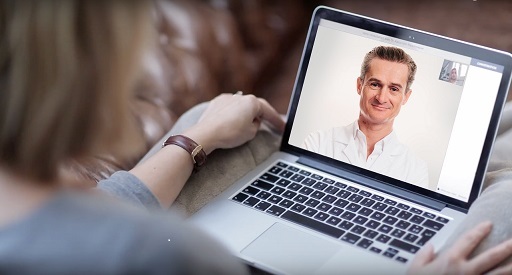 This is where telemedicine can help, a new healthcare practice offering access to doctors via video link, has been developed over the last few years. A few apps are currently available in the UK, but all of them are in English. This was true until the introduction of a new service called Qare. This service gives you the possibility to get access to a French doctor via. This website offers all the benefits of the French medical system abroad. Qare provides French residents with unlimited access to an exclusive network of French GPs and specialists based in France, seven days a week. A wide range of specialities are available including: general medicine, psychology, dermatology, pediatrics and physiotherapy. Using telemedicine technology, Qare provides an innovative and holistic way for patients to quickly and conveniently consult with a French qualified doctor – removing all barriers to recess. Booking an appointment has never been easier. After registratering on the site, patients schedule their appointments online at their convenience. Each appointment takes place via video link with a doctor who consults directly from their own practice. Through a series of questions and access to the patient’s medical dashboard, the health professional is able to diagnose the issue and provide instant advice. Qare does not treat emergencies, but if required, their doctors can refer the patient to a local French medical professional (the platform is associated with Medicare Français, the leading French medical centre in London). Qare doctors can secure an appointment with a generalist or specialised doctor within 48 hours or organise a home visit should the patient be unable to visit a practice. Upon registration, Qare members log their medical data on their personal dashboard which will be updated and maintained by Qare doctors. The data will be safely stored on the secure website and remain accessible wherever and whenever needed. Qare doctors are available seven days a week, Monday to Saturday from 12-8pm and Sunday 2pm-6pm. The service is available for an entire family, parents and their children under 18.The standard unlimited membership for the whole family costs £119 per month.